One thing no one can take from Julia Gillard is that she was Australia's first female Prime Minister. And as such, political and personal views aside, there's a lot to learn from her tenure - how it was portrayed, how she and her team handled perceptions, and how gender plays a role in our view of leadership. 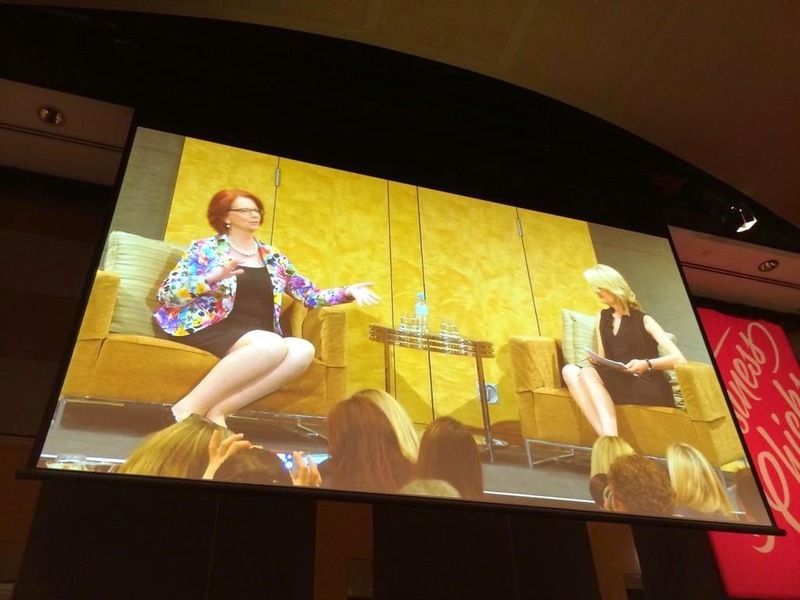 In person, at this morning's Business Chicks Breakfast Julia Gillard was warm, personable and funny. In the media as PM she was more often portrayed as cold, disloyal and ineffective as a leader. There are also simple lessons for women in leadership that have little to do with gender - about how to do well once in the top job. So what can we take from this as marketing and corporate affairs people, women in financial services, or as those with an interest in leadership? Gender does matter, for starters, it's clear that almost universally our notions of leadership are gendered. Whether we are female or male, the most educated of us in business judge women leaders harshly for displaying the kind of traits we laud in men. We might not like hearing that but reams of research over several decades back up the finding. The Columbia Research is just the latest in a long string of empirical evidence supporting this. The research shows we are pre-programmed to judge women more harshly. Question that. Hard. Lesson two: make time for the "important" not just the "urgent"
Secondly, making time to think in a schedule of "busy and urgent" days and weeks is critical to success. Gillard says she always made time for this. But upon reflection, she'd carve out even more time for the "important" versus the "urgent". Being an ever-busy people pleaser isn't going to help any of us steer a sound long term course of action. Gillard makes the point that Keating got to be judged on his merits, despite the manner of ascension to Prime Minister. Did our first female Prime Minister get the same opportunity? Even feminists condemned Gillard for the leadership spill, and it went on to define her term, her place in history and in many women's hearts and minds. The problem with bias is that while we can sometimes (just) see other people's faults but often not our own. Good leadership starts with realism - about how we all see the world, about how female leaders are portrayed and what we all need to do in response to "what is" rather than what we'd like to be. Gillard admits she maybe underestimated a few things along the way - Australian's perceptions of her and female leaders included. She's not alone. From Germany's Angela Merkel (pilloried in her own press for her appearance) to FaceBook's Sheryl Sandberg (who admits her own bias) we're challenged to get this right. That's not an excuse to not turn our face away, to ignore the issues or to accept the status quo. As leaders we do have to accept reality. Leadership also about striving to improve it. So let's keep the conversation going: about female leaders, how they are portrayed and what role our communication about them should, and can play. I attended this morning's Business Chicks breakfast as a guest of CBA.